The overhead monorail system is used to store and transport laundry to the washing and finishing equipment. 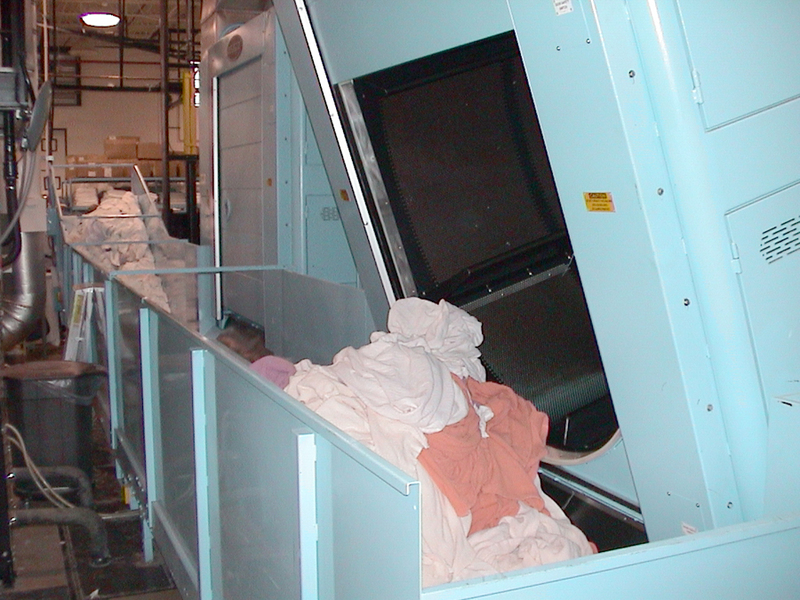 All components of our Gardner Overhead Monorail System are the heaviest and most ruggedly built in the laundry industry, resulting in longer service life and lower maintenance. 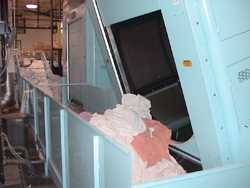 Belt conveyors are used in a variety of applications throughout a laundry to decrease the labor and turnaround time required for production equipment. For example, several dryers can discharge onto one belt conveyor, which can then automatically transport the goods to a central sling-loading location. Every installation is custom designed to fit each individual client’s needs for the specific situation, from simple push-button systems to systems with fully integrated, computer-automated controls.